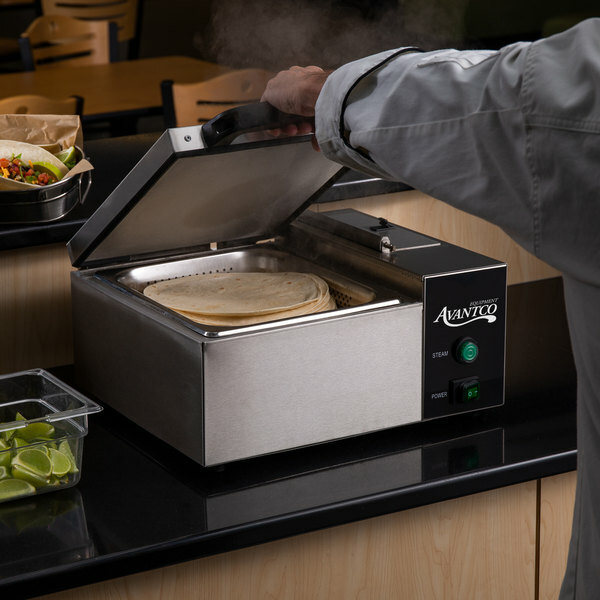 Sure to become the new hot-shot in your kitchen, concession stand, or convenience store, the Avantco QuickShot QS-1800 tortilla / portion steamer is an impressive countertop unit! 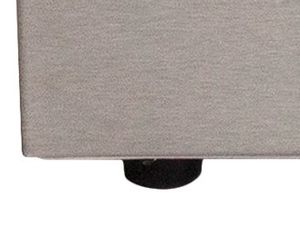 With the simple touch of a button, this unit blasts an instant 212 degree Fahrenheit stream of steam. 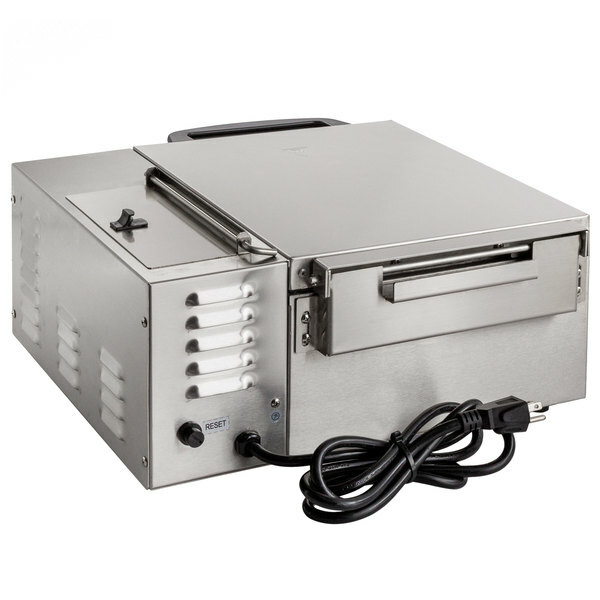 In a convenient, compact footprint, this steamer does everything from steam pitas and melt cheese to reheat pre-cooked food for quick service. Such versatility proves invaluable in facilities with limited space. Because it preheats in 25 minutes, it's easy to turn on prior to opening and have ready for the first rush of customers. 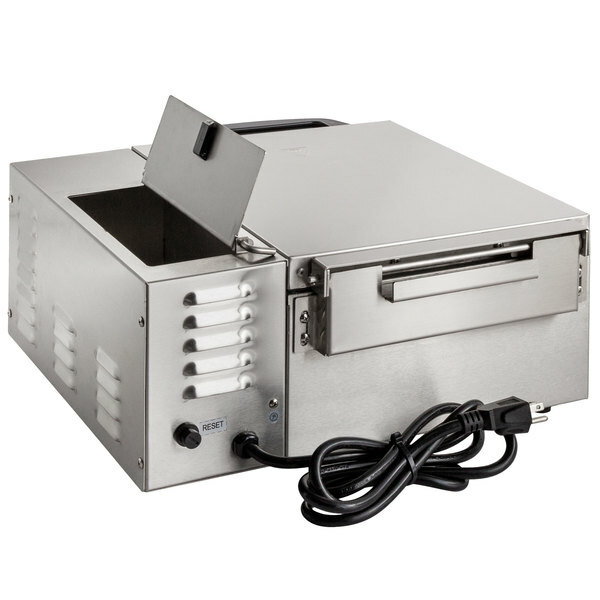 Taking only 30 seconds to make food deliciously hot and fresh, this steamer helps you provide customers with great food fast! 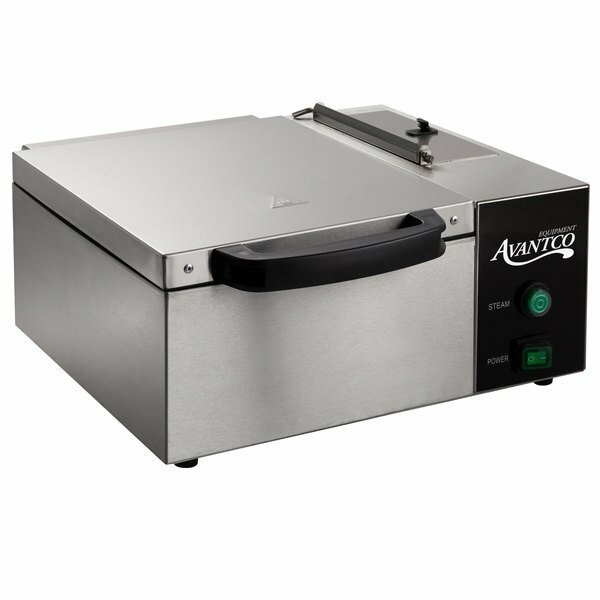 To accommodate steaming and reheating, the unit accommodates a 1/2 size food pan (sold separately) and offers a 4 qt. capacity. It uses an independent 3 qt. 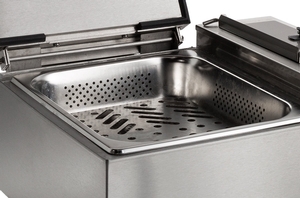 water reservoir for its steaming function, making it easy to fill and maintain throughout the day. 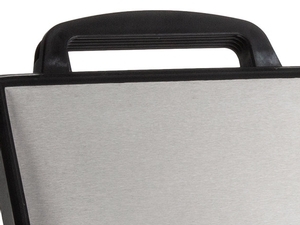 This unit comes equipped with a cool-touch handle to maximize worker safety by preventing potential burns. With 4 rubber non-slip feet on the base of this unit, you will not have to worry about unwanted movement or sliding during operation. 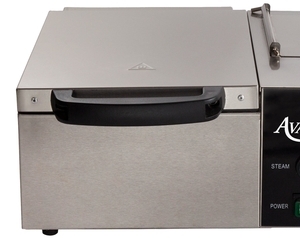 The steamer's stainless steel exterior ensures durability in virtually any commercial space. Not only will this durable exterior provide a long service life, it is also easy to keep clean. Does it matter what kind of water I use in this machine? For best results, we only recommend using distilled water. Use of non-distilled water will hinder performance and may cause damage to the unit over time.